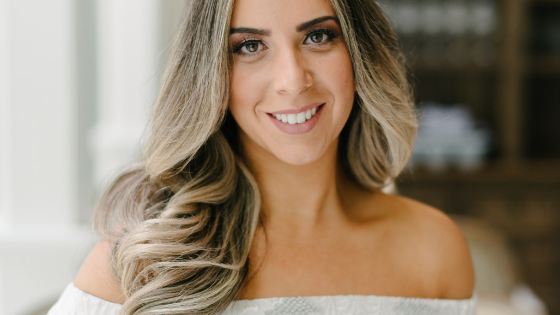 Starting a business with…Stephanie Florio, Swob Inc.
For Stephanie Florio, starting a business was always on her to-do list, but she just didn’t know what business to start. So when her brother Alexander developed the idea for Swob – touted “the Tinder for jobs” – it was the perfect opportunity to get started. 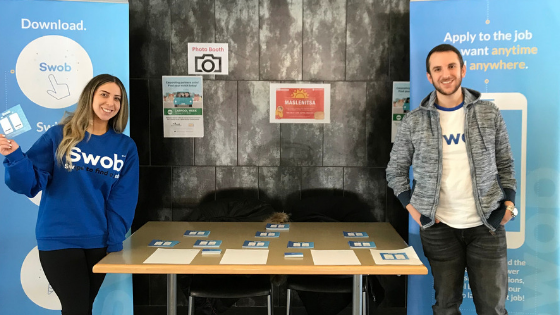 Stephanie took some time to share the story of her Futurpreneur-supported business, Swob, and how the brother-sister duo developed a product that responded to the needs and trends in the changing workforce. First of all, what is Swob™? 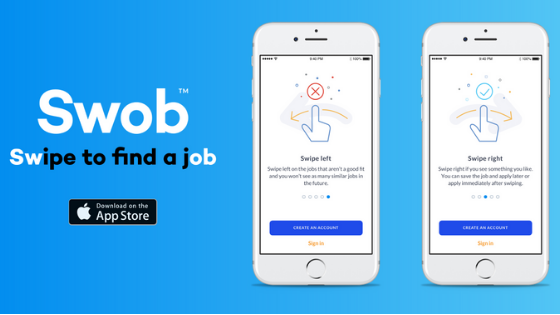 Swob stands for swipe and job combined, and is an app that promotes the value of work to students by providing a platform which allows them to search for jobs from the comfort of their own phone. Swob is the first of its kind to target students in high turnover industries such as retail and food service for part time, seasonal and full time employment. 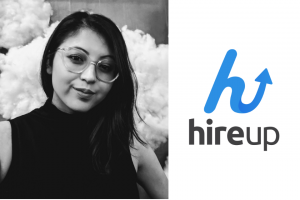 The job search is tailored for each user based on their location, making the process easy for students and even easier for recruiters, who are able to securely filter through the best possible candidates through the program. How did Swob get started? The idea for Swob came from my brother, Alexander, who was in the process of applying for jobs, and thought there should be an easier way. He was on Tinder at the time, and he put two and two together. It was a unique idea, but we weren’t sure who we would build it for. Before launching in November 2017, we spent time with students and job seekers to learn about how they have applied to jobs. To our surprise, many of these individuals would print out stacks of resumes and walk around malls or go from store-to-store. Once we noticed this trend, we wanted to create a tool that would disrupt the way people apply to jobs. Employers no longer have to go through stacks of resumes; they can post jobs, screen applicants, and call them in for interviews right on our website. Everything is centralized on our website. How important is customer feedback to a business? With Swob, we’re always evolving and considering feedback from our users. We’re trying to make the app and website the best it can be. Both are at a great place, but they will always evolve. We’ve been taking feedback from the employers we work with, and take it seriously when they suggest a new feature or something they’d like to see. For instance, a franchisee at Tim Horton’s mentioned to us that they post roles on other job sites, but received applications from Vancouver for roles in Toronto. Once we heard this, we developed a feature on our website called “Maximum Applicant Distance.” If you want applicants to be, for instance, within 5 km of your business, only candidates within the 5 km radius will see the job posting, ensuring only local candidates can apply. I always wanted to start my own business; I just never knew what I was going to start. When Alexander told me about the idea for Swob, I thought it was very interesting and unique. I was really inspired to start the business after the feedback we got from both employers and students – we found a problem and created a solution. Being an entrepreneur comes with quite the learning curve. 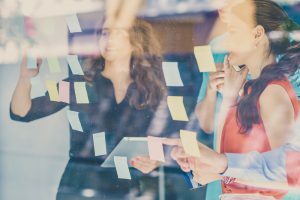 How are you managing the challenges and mistakes you have experienced on your business journey? One of our biggest mistakes was doing a radio advertisement for students. We learned that students rarely listen to the radio and if you are promoting something like an app/website, you should always advertise where the call to action is at your fingertips. Although this was a mistake, it was a great lesson learned that really helped us reach our audience in the right place. What are some of the milestones you’ve reached with Swob since launching? Some of our key milestones include winning the “Pitch to Rich” contest. 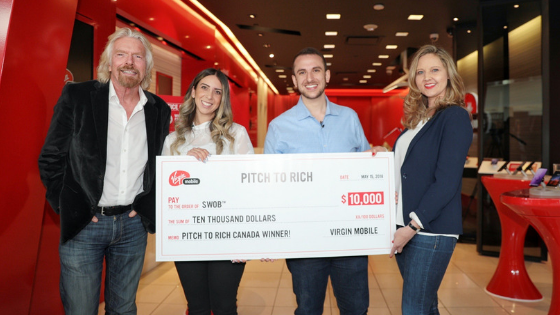 In May of 2018, out of thousands of applicants across Canada, Sir Richard Branson personally selected Swob to be the first ever Canadian company to win the “Pitch to Rich” contest. 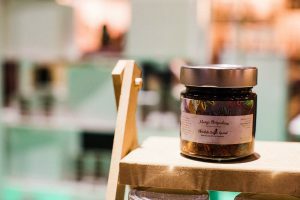 In September of 2018, Swob made a guest appearance on The Marilyn Denis Show and in December 2018, Swob won the Ignite Spark Competition and was awarded $25,000.00. Most recently Swob has reached over 12,000 downloads and hired 5 Business and Marketing Development Coordinators. What has been the most rewarding thing about having your own business? What’s most rewarding about Swob and what we are doing is the fact that we are changing the way individuals can apply to jobs. I love what we are doing, and can’t imagine doing anything else but grow Swob! Despite living in such a digital world, students continue to go malls to hand out their resumes – without even knowing if these stores are hiring. Swob is changing this approach, and now provides the job seeker with a variety of options and allows you to select the types of roles you are seeking. 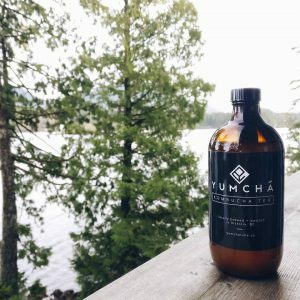 Any tips for others planning to start their own business? If you believe in what you’re doing, go for it! What celebrity inspires you the most and why? So many people inspire me, however I would have to say Ellen. She embraces everyone and is constantly inspiring those around her to be better. If you were a super hero, what super power would you like to have? Your favourite time of the year and why? I love the summer! Who doesn’t like sipping wine on a patio?